We've all probably been there at some point, a hose breaking or being ripped off of the tilt bucket and now it's just hanging loose. For any owner or owner-operator you realise the cost it has on your business to have a hose break on your bucket. It's not the cost of the new hose that needs fitting; it's the cost of having a hydraulic hose doctor come out and fix it, which is rarely less than $1000.00. The environmental and reputation risk of spilling hydraulic fluid can be severe as more sites become more stringent on compliance and chemical spillage, especially in vulnerable areas. Then there's cost of having downtime on machines, staff and labourer's and the flow on it has to other operator's and contractor's on the same site and your jobs relying on that excavator to be working away. Where there's a problem, there's an answer. 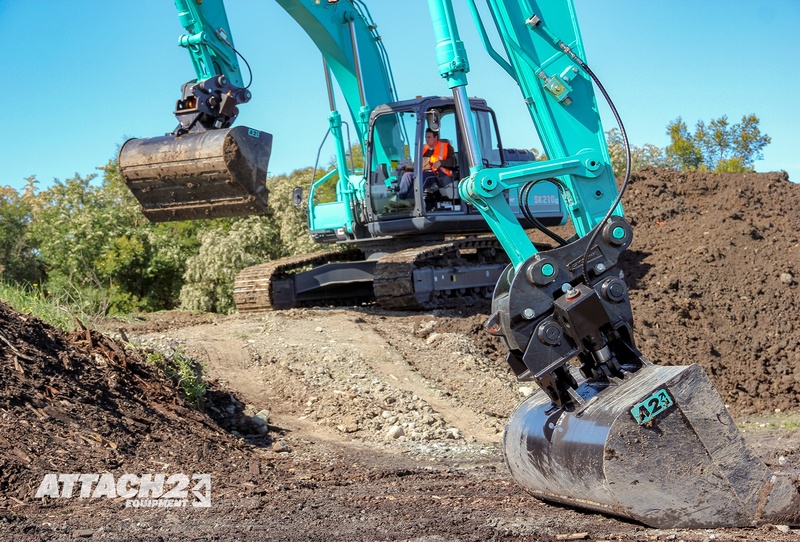 Newer manufacturing technologies and better designs; dual ram tilt buckets have improved from their older counterparts. Newer designs have changed the way rams are mounted, not only removing the chance of breakage but also the need for hose routing which if somehow it should break, fixing it is simpler. 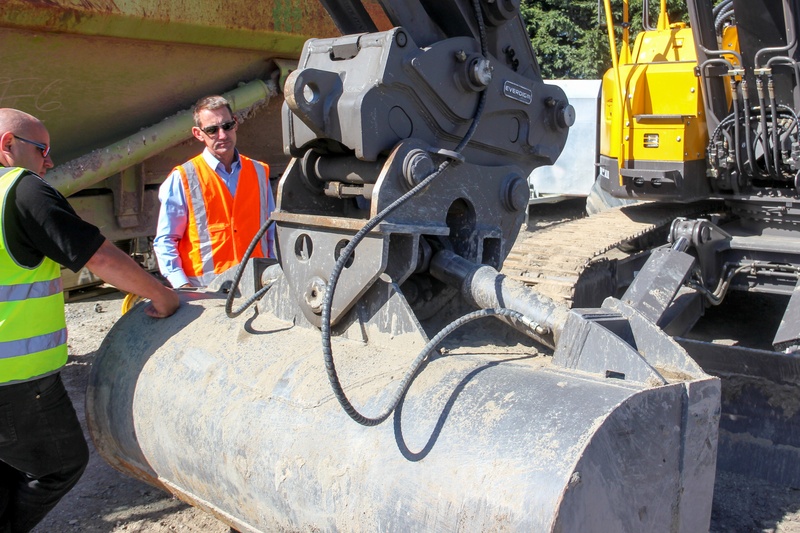 A well designed attachment means more productivity and less downtime. Fit your machines with quality attachments, give yourself less headaches. Train hoses to flex in the right direction so they don't get in the way and break. Use metal hose staple/clips so the hose stays as close as possible to the arm. Have the correct length hoses, just enough for full tilt each way. Make sure you disconnect your hoses before uncoupling as it could roll back and snap the hoses. Unique Over-sized Twin Rams. Single acting maintains positive displacement reducing any movement and hoses are less vulnerable to damage as the ram ports are above the pivot point. Bis 400 Steel. 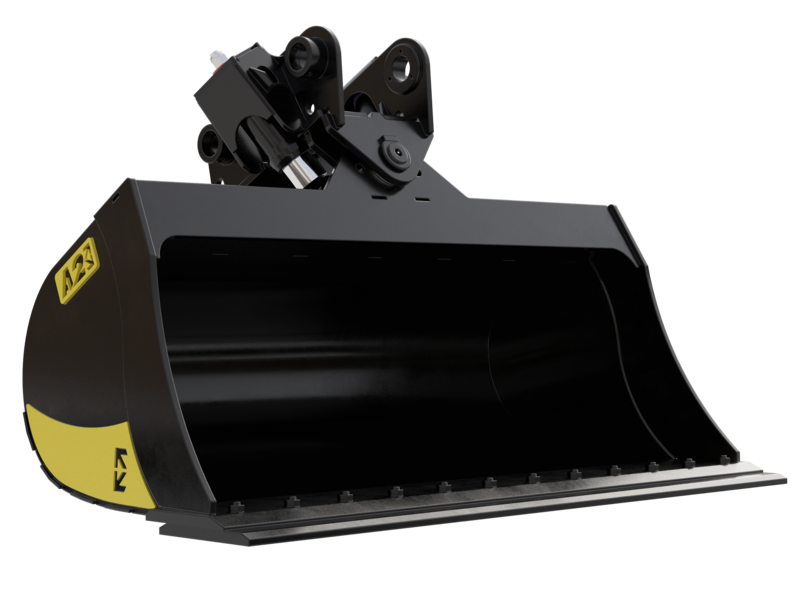 All front styles, side cutters, wear strips, cutting edge and bucket wrap is made of BIS 400 grade steel, increasing the longevity of the bucket. Bolt on cutting edge. Standard on all Elite Tilt Buckets. This gives you extended lifetime of the bucket, reducing wear on the cutting edge. Tilt Bucket or Tilt Coupler?